I’ve officially jumped on the green smoothie bandwagon. They’re very “in,” you know, and I have trouble resisting a food trend. It’s March here in the South. Things are turning green (halleluja!). I’m not ashamed to say that I HATE WINTER with all my heart. 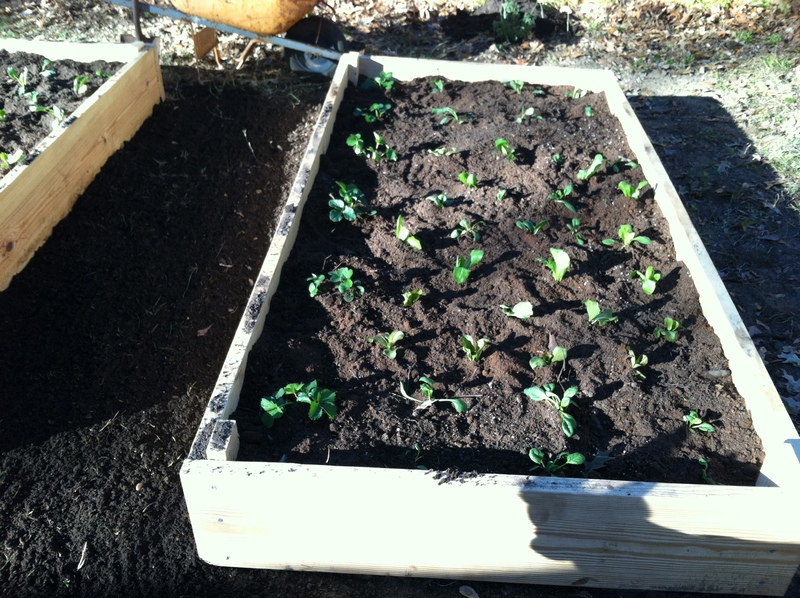 So, with all the new greenery popping out, we decided it was time to start a spring garden. Since we have two dogs, who eat and trample nearly everything I plant, we decided to make raised beds. It was a fairly simple process to buy the wood, and drill them together. The fun part was selecting stuff to plant.